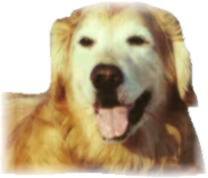 Golden Retriever Rescue,Inc. (NJ) Newsletter Fall 2001/Happy News! Thank You to these Recent GRRI Contributors and Adopters! Sean Sheehan and the Three Dog Bakery in Haddonfield -- thanks for inviting us to set up a special table at your store. The Morris County 4-H Club, for allowing us to particpate in your fair. The Twin Brook Kennel Club, for allowing us to participate in your show. 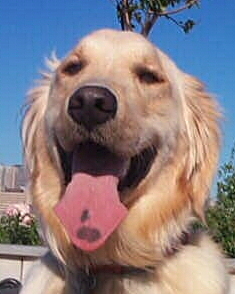 The Jersey Shore Animal Shelter for allowing us to participate in your FunDay. Gail Lustig for your generosity in hosting another great Goldstock weekend ... The staff at Camp Weequahic for all their hard work keeping us happy and well fed ... And all the Goldstock campers who supported GRRI-NJ and the other rescue groups present. Jeanne Urna, Marta & Harry Alfred, Leslie Raicer, Elizabeth Gleason, Judy Laureano, Sandy Leibfriedand, Rene'e Herskowitz, Pat Pinches, Julie Ann Ulbrich, and Jannet King for generously donating items to benefit GRRI at the Goldstock Auction.